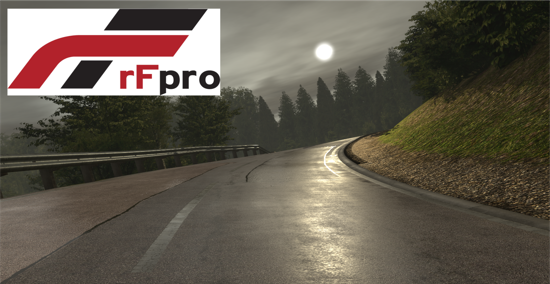 NVIDIA has announced rFpro as a software partner at the GPU Technology Conference Japan 2018. rFpro will provide the virtual environment used to develop autonomous vehicles (AV) in NVIDIA DRIVE™ Sim and NVIDIA DRIVE Constellation. NVIDIA DRIVE Sim is a platform that simulates a self-driving vehicle’s sensors – including cameras, LiDAR and radar. It drives the company’s NVIDIA DRIVE Constellation, a new hardware-in-the-loop virtual reality AV simulator. rFpro’s photorealistic environment ensures that training and development of the systems accurately translates into the real world. A ‘3D Reconstruction’ process allows rFpro to create ‘Digital Twins’ of the real world, which ensures simulated testing matches the real-world testing. It allows the vehicle developer to physically model their vehicle’s interaction with the world, through its sensors (cameras, LiDAR, radar) and through its vehicle dynamics. which means that lighting, weather, the atmosphere, even the way the detailed road surface is fed to the customer’s virtual-vehicle are based on the laws of physics. that were developed, tested and trained in rFpro. NVIDIA’s AV products are being used by vehicle manufacturers such as Toyota, Mercedes-Benz, Volvo and Subaru as well as major Tier1s, such as Denso, Bosch and Continental.